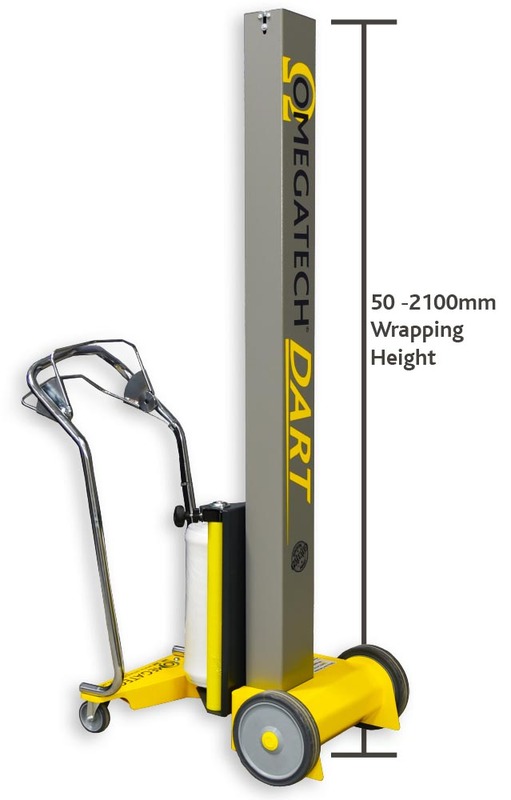 Bringing efficiency and safety to the workplace, the Dart wrapper is a truly innovative product. 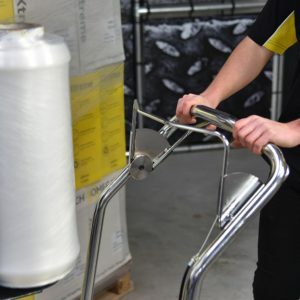 No Bending Required! – Reduce the risk of injury and make wrapping pallets a more rewarding job. 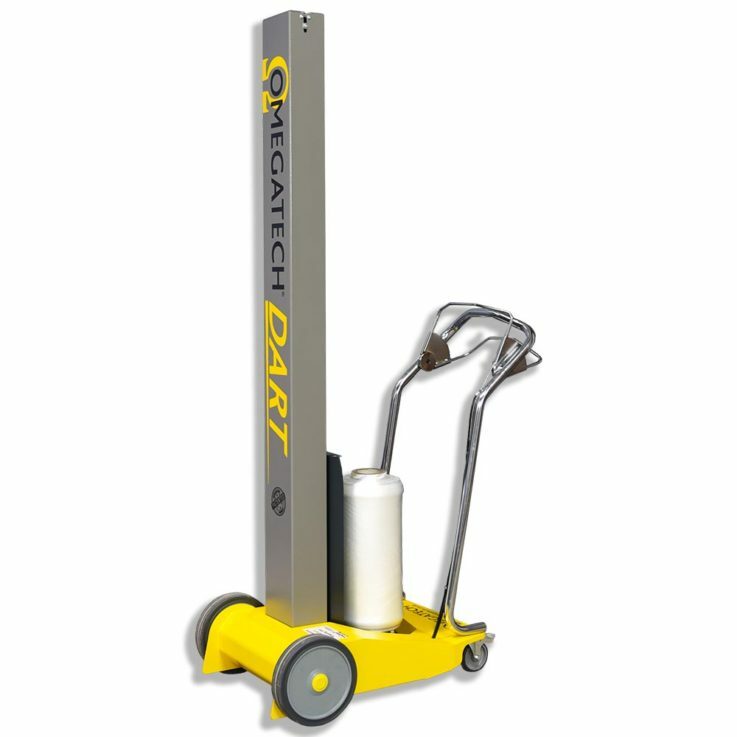 Lightweight and simple to use, ensuring consistently secure pallet wrapping with no training needed. 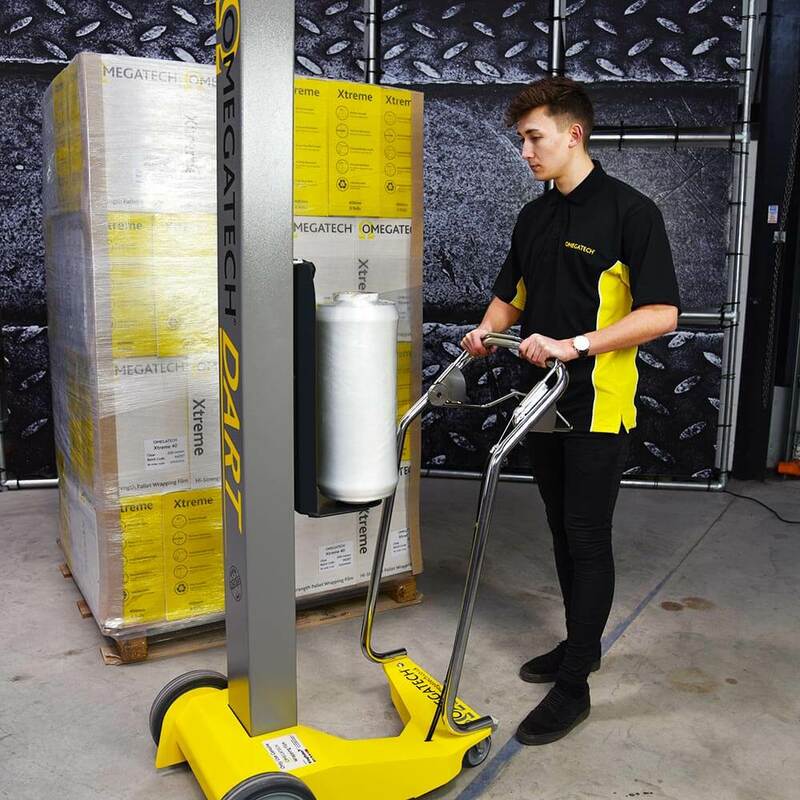 Compact and highly mobile, taking up less than a pallet space for storage, fitting through standard doorways and can be wheeled to any location in the warehouse. 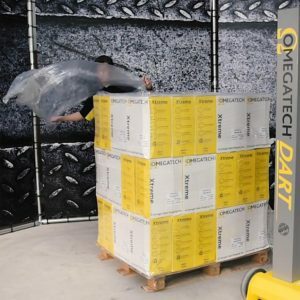 Looking for a faster, safer and more efficient way to wrap pallets without a large capital expense? 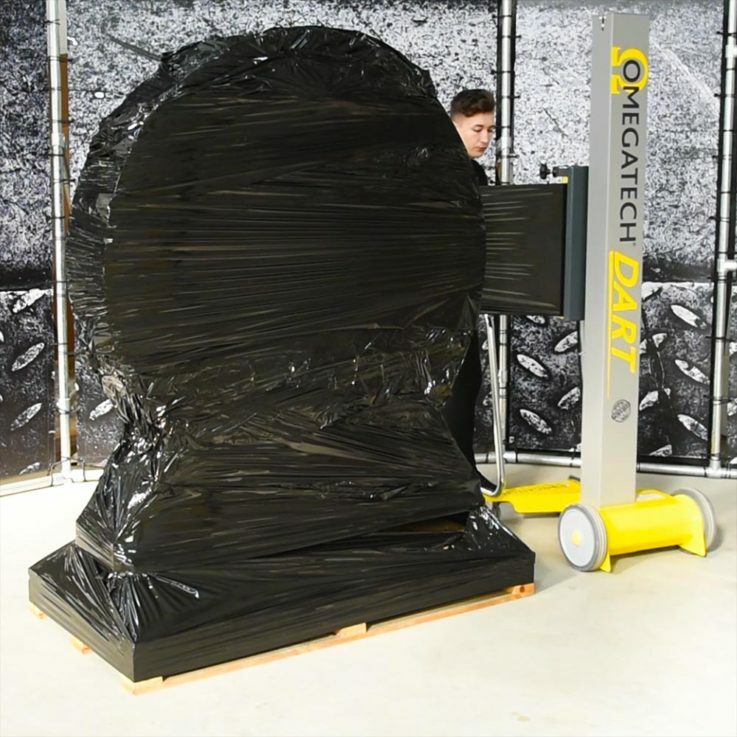 Then the Omegatech® DART Stretch Wrapper is the perfect machine for your operation. Compact, lightweight and able to wrap a pallet without the operator having to bend at all, these are just some of the reasons these innovative machines are increasingly popular across many industries. Requiring less than 1200mm floor space around a pallet, this mobile stretch wrapper is ideally suited to workplaces where space is always at a premium and flexibility is vital. Reduce the risk of injury and make wrapping faster and more efficient. Increase user safety by removing many of the risks of wrapping pallets by hand. 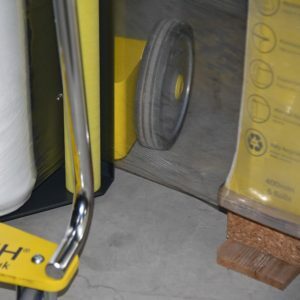 A simple twist and lock tension adjustment to make sure every pallet is wrapped securely. 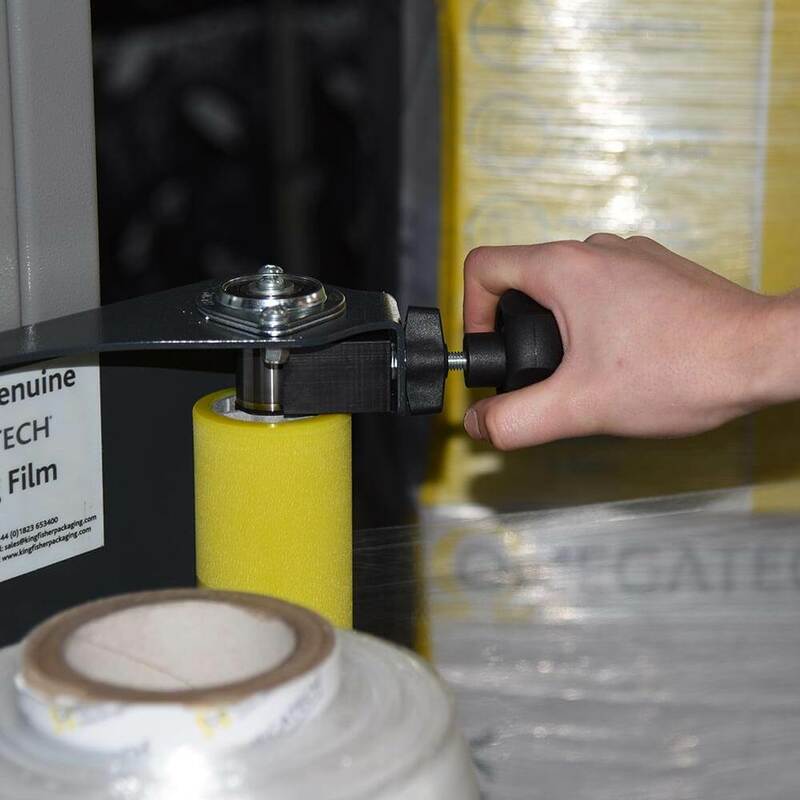 Simple pull-levers control the film carriage, so you can wrap the pallet exactly how you want to, wrapping from 50 to 2100mm. 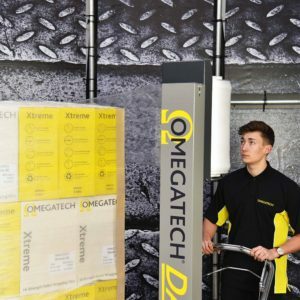 Achieve secure pallets every time using any of our specialist Omegatech® pallet wrapping films. 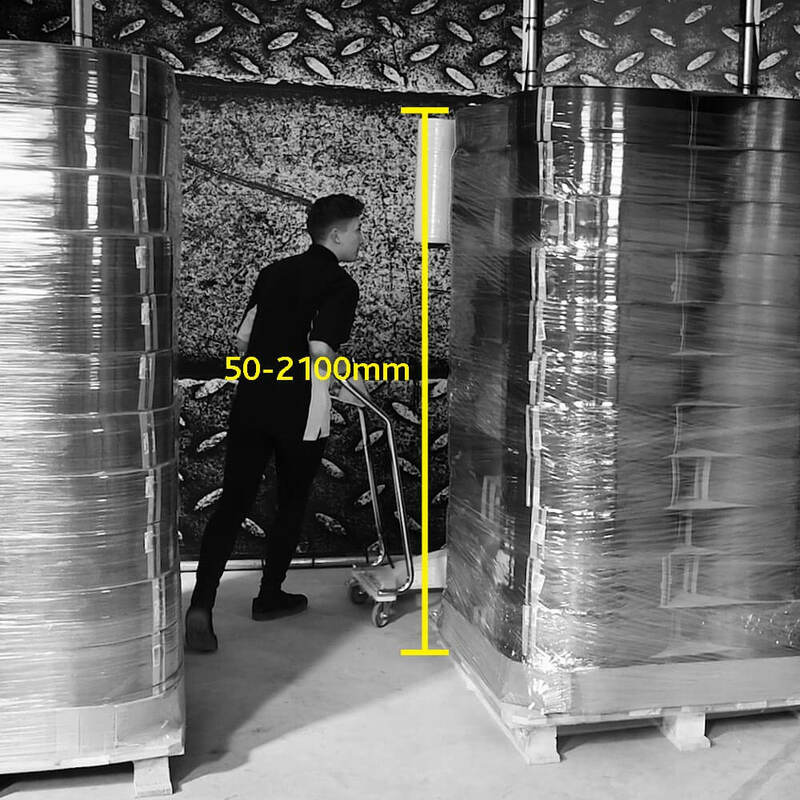 Applies film right to the bottom of the pallet for excellent pallet stability. Drastically reduce wrapping times with much less physical effort needed. Top sheets can easily be applied during the wrapping of the pallet, without having to cut the film. 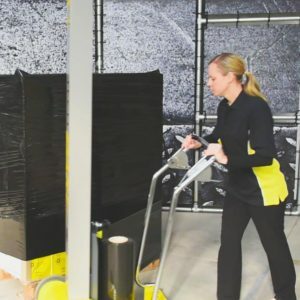 Wrap Any Size or Shape Pallet! With the operator is in full control, the pallet can be wrapped in the most efficient and effective way. 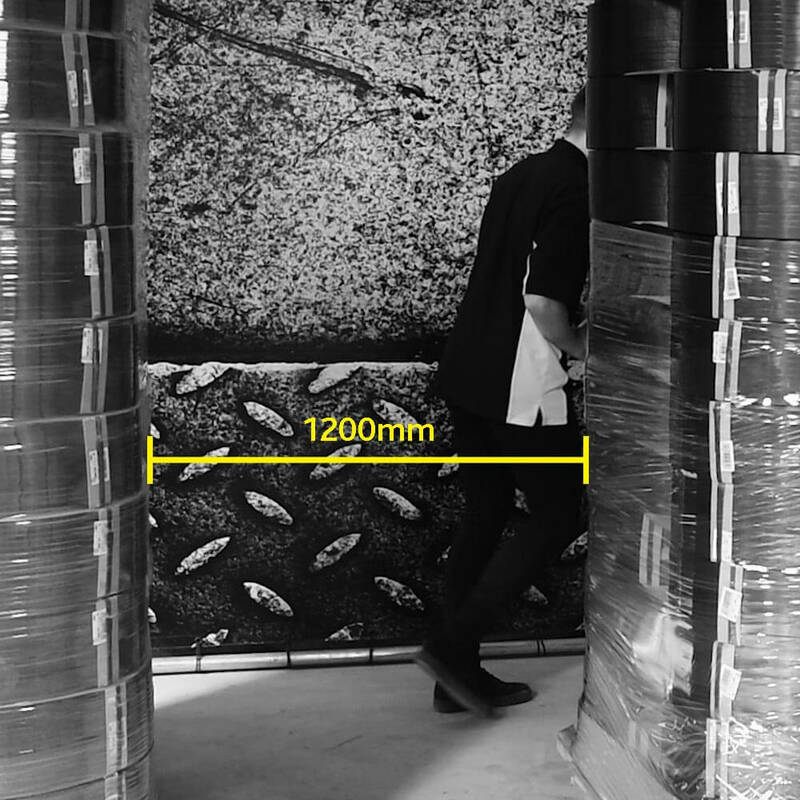 Carefully considered design, fitting through standard doorways and using less than a pallet space for storage. 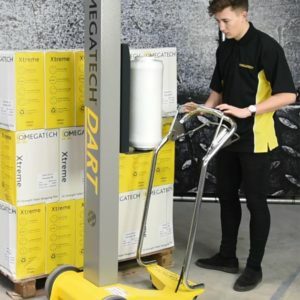 Want to see how this manual mobile pallet wrapping machine could really speed up your packing process? These excellent machines are on display in our showroom so just speak to one of our sales team to arrange a demonstration.